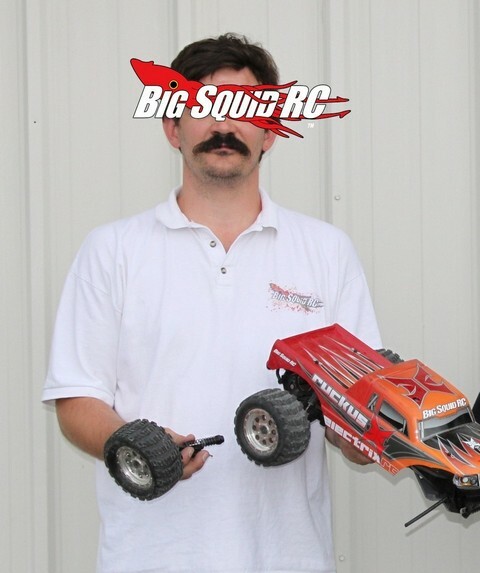 THE Cub Report, 07.01.2013, Version- Hangman’s Joke « Big Squid RC – RC Car and Truck News, Reviews, Videos, and More! Hola Amigo’s and happy Monday. I trust everyone got some trigger time in over the weekend. I actually got to drive some of my personal cars over the weekend, which is quite the rarity for me over the last decade or so. Yay. The AMA motocross nationals are starting to get good! The Dunge put down another OA and Tomac is showing the foreigners who’s boss in the 250’s. Next up, the legendary Red Bud national. I’ve never personally hucked Larocco’s Leap, doubling in was enough air time for me, for those of you that have jumped the entire thing I salute you. Mark your calender for our Chicago/Orland Park Summer Bash and Swap Meet. The date is August 3rd and we are holding it in the parking lot of the Orland Park HobbyTown USA. We invite you all to come out, go huge, have fun, and win some cool stuff. Word around the BigSquid offices is we’ll be holding our very first St Louis Bash on Saturday August 31st. More info coming soon on this one folks. Shootout? Yes, our latest shootout is nearing completion. It’s a Rally Car shootout– Traxxas vs HPI vs Kyosho vs Thunder Tiger. This weekend is when we finish it up, it should go live in the next 2 weeks. And oh ya, it’s going to be quite the interesting read. We have found a new King of the Hill for Lipo packs. We’ll be posting a Lipo battery review this Tuesday of the fastest 2S pack we’ve ever tested. It didn’t just edge out the other packs, it smashed records for voltage output and runtime on our West Mountain CBA, and it felt crazy fast on track. Find out Tuesday just which pack we are teasing about. We had Horizon’s Scott Hughes on our Live G+ show last Wednesday night, if you are an industry type that wants to get something off your chest, or simply want to do some rc bench racing, shoot us an email and we’ll try and get ya lined up for the show. I’ve “sorta” been working on a Cub Report called “There is a reason why they are number 2” for a long time now. I thought I was going to pull trigger on it this week, but alas I wised up. It’s the sort of Cub Report that doesn’t just offend a few industry types here and there, it pretty much offends them all (except for those pwn’ing their market segment), LOL, so ya I think I’ll hold off on it yet again. Maybe next week, meh. So… that’s it for this week, proof positive that I’m not always a verbose lunatic. I hope everyone has a fantastic July 4th filled with fireworks, apple pie, and trigger time. As always, support your local hobby shops and bash spots when ya can.